Our team of professionals at Royalty Care Home Health Services, Inc. provides an assessment to the patient each time they visit. If there are any abnormal findings based on the evaluation, our caregivers will report to the physician and ensure that you will be given the right medication to prevent any further complications. For more detailed information about the service, please feel free to talk to one of our trusted professional caregivers. We are more than happy to serve you better. 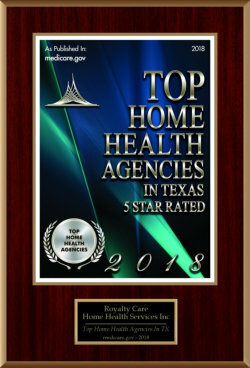 Call us at 512-244-4254.